Nicole Ligon joined Duke’s clinical faculty in 2018 as the lecturing fellow and supervising attorney of the First Amendment Clinic. In that capacity, she co-teaches a seminar course, mentors students in honing their practical litigation skills, and oversees their casework on behalf of clients who claim infringements of their free speech rights. 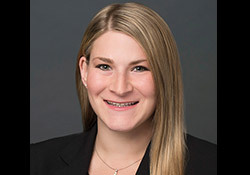 Before joining Duke Law, Ligon was an attorney with Cahill Gordon & Reindel in New York City. She was a member of the firm’s litigation department, and her practice focused on First Amendment and media law matters. While in private practice, Ligon was honored by the Center for Appellate Litigation (CAL) for her work in helping its Books Beyond Bars project challenge proposed state packaging restrictions that would have prevented people incarcerated in New York prisons from receiving donated books by mail. Ligon’s extensive pro bono practice also included handling matters on issues related to reporter’s privilege, defamation, right of access, and other free speech concerns. Ligon also served on the board of a non-profit organization, Jazz Choreography Enterprises, from 2017-2018. Ligon received her J.D. from Duke University School of Law, where she served as a notes editor for the Duke Law Journal. She received her B.A. from Emory University. Ligon is licensed to practice law in North Carolina, New York, and New Jersey.